By Soumyen Bandyopadhyay and Iain Jackson. This book is the result of extensive research and detailed fieldwork. 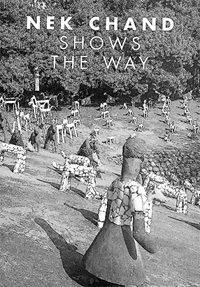 A study of the Rock Garden that is unlikely to be bettered, it looks at the wider context of the Rock Garden's position in the Modernist city of Chandigarh. 8.25 x 8.25 ins., 131pp, soft cover. Essay by Leslie Umberger, from an exhibition at John Michael Kohler Arts Center. 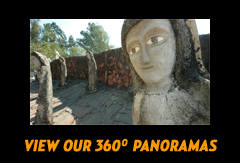 The Arts Center's permanent collection includes 160 works of concrete and fabric figures and animals created by Nek Chand, the largest collection of his work outside the Garden. Essay by Leslie Umberger. 6 pp., 17 color illus., 2000. Catalogue of Waterman's recent exhibition in London. Anthology of published material: Bhatti, Maizels, Reeves, plus many new photos. 56pp, 17 b/w photos. 210 x148 mm. Buy from Raw Vision Magazine. 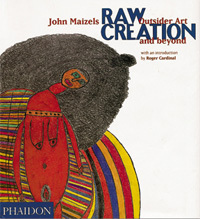 Raw Creation is the definitive book on outsider art and provides an indispensible guide to the self-taught art of this century and a fascinating account of human creativity. The chapter entitled 'Wonders of the World' is mostly dedicated to the Rock Garden and includes a number of beautiful colour photographs. 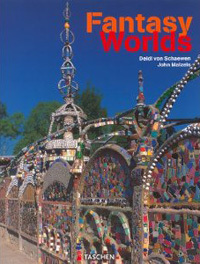 Presenting the world's most unusual, colourful and poetic creations, some of which have never previously appeared in print, FANTASY WORLDS includes the classics of fantasy architecture such as the Palais Idéal near Lyon and, of course, Nek Chand's Rock Garden, Chandigarh. M.S.Aulakh, published by Manjit Kaur, for Tagore Publishers, India, 1986. This small black and white book is M.S. 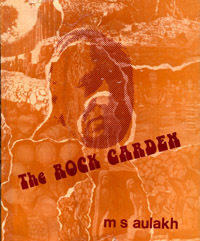 Aulakh's commentary on and tribute to the Rock Garden and is not widely available, but can be found, from time to time, on sale at the Rock Garden. 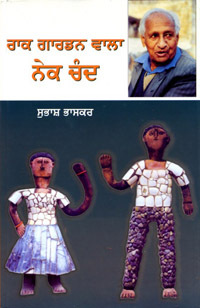 V. P. Mehta, published by Arun Publishing House, Chandigarh, India. 2010. 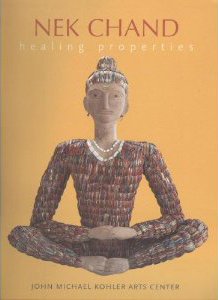 The most recent study of Nek Chand's life and work. 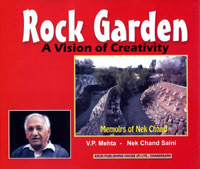 Charts the course of Nek Chand's life from his Pujabi village home to Chandigarh and the various struggles and developments involved in creating the Rock Garden. 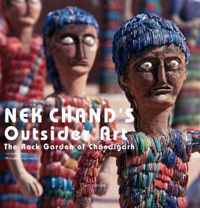 The first book in the West to be dedicated to the work of Nek Chand, this beautiful publication tells the story of Nek Chand and his life and takes the reader on a colourful journey through his Rock Garden, the world's most expansive work of environmental art. 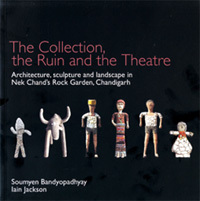 Various back issues of Raw Vision feature Nek Chand and the Rock Garden. These are available from the above address or can be ordered through Raw Vision Magazine.